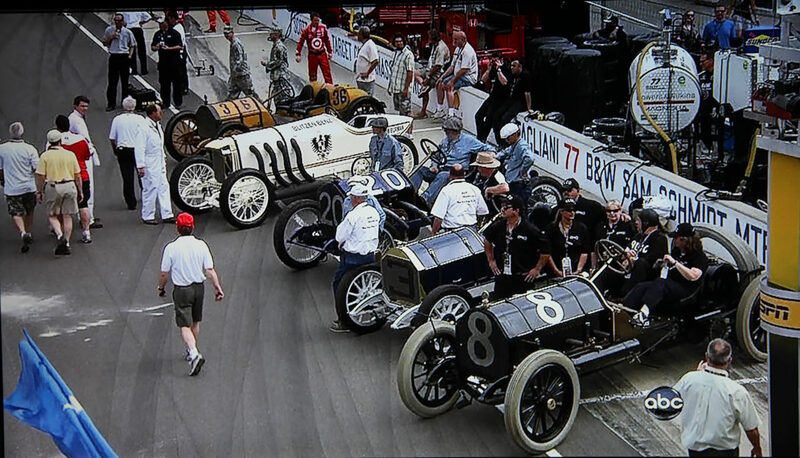 0:30: Aerial of the Black Beast and 1911 parade racers during ABC's pre-race coverage. 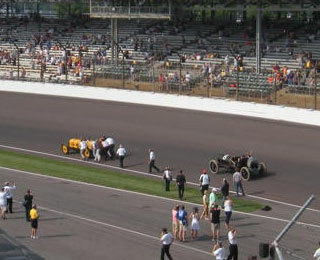 1: 14: The 1911 Indy winner Marmon Wasp and the Alco Black Beast on the track at 8:30 am. 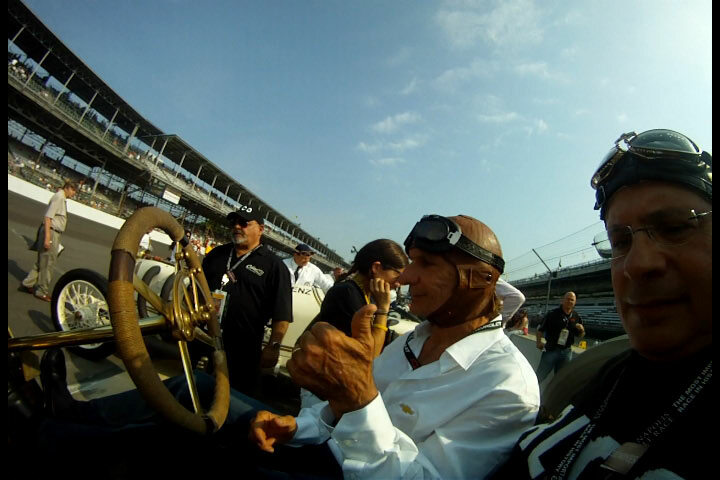 1:53: Emerson Fittipaldi gives a thumbs up at 9:50 am. 2:00: The Black Beast begins to roar. 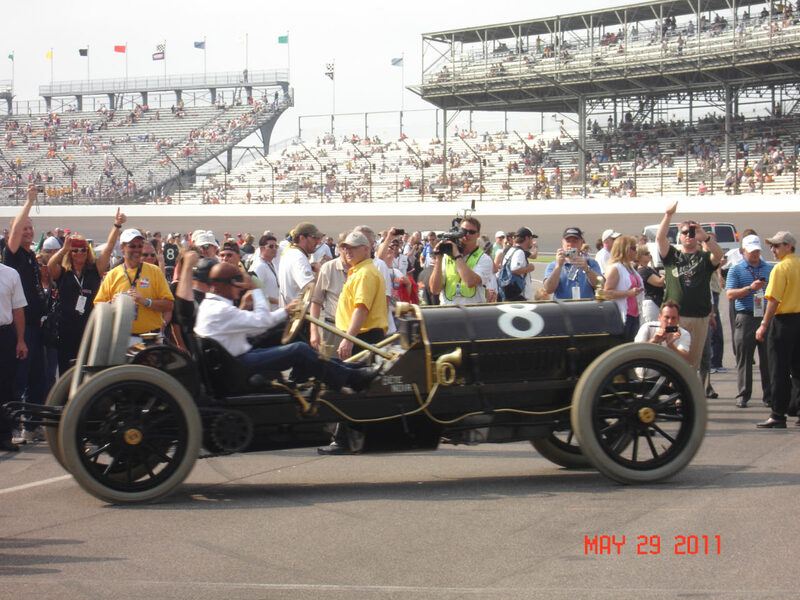 4:22 After 100 years, the Black Beast passes the Marmon Wasp and is asked to take the lead. CONGRATULATIONS on your ‘victory’ at Indy. Fantastic!! The car sounds like it wanted to get back out there. Like all good things over way too soon. Just wait for 2111. Congratulations and thanks again for your site and the video. Always a pleasant start to Sunday. WOW! 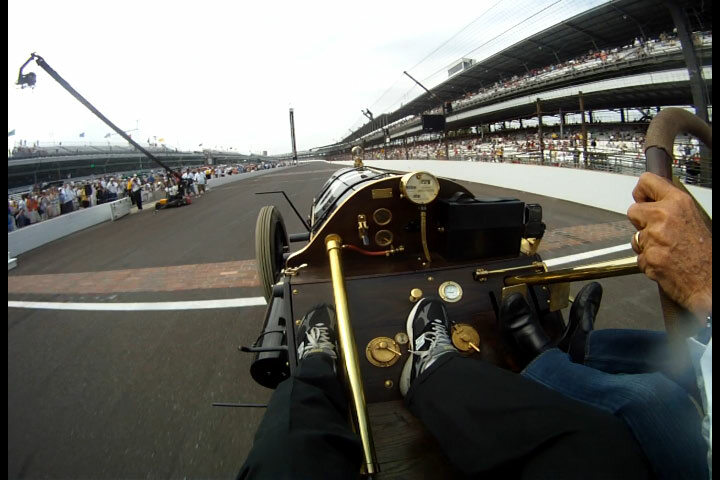 A lap of Indy in the Black Beast, driven by two time winner Emmo. How COOL was that? Are you still smiling? Thanks for the video, and for all of your efforts. See you at the next event. Congrats!! That must have been great Howard! Congratulations and thanks for preserving this piece of history! Congratulations Howard, the thrill of a lifetime, and you shared it with us all. Thank you so much. Congratulations Howard! 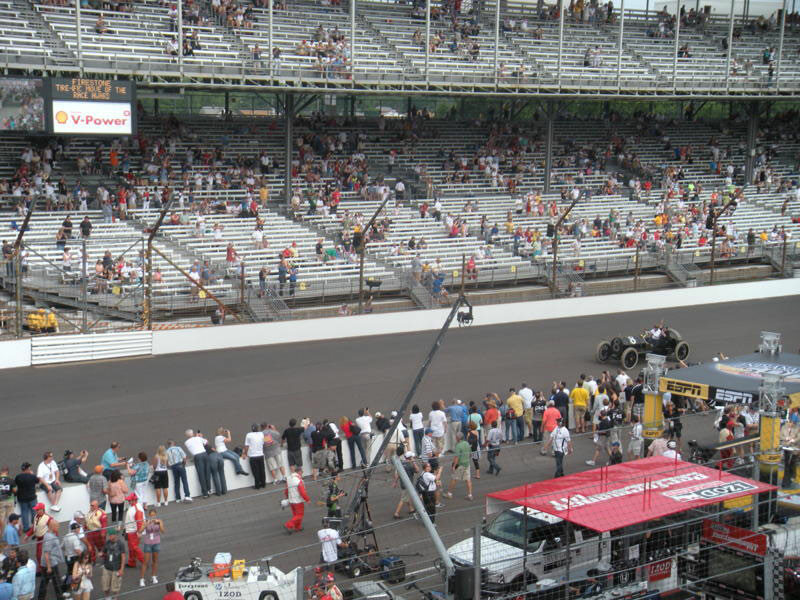 It was so great that you got a chance to run your car at the 100th Indy 500. Emmo seemed to be running the same groove that he would have with the cars of today. It must have been a big thrill for him too. Thanks for the video and the chance to get a first hand look at the Black Beast on the Speedway! maybe they will let you guys comeback for a 10 lap “exhibition race” ie rematch. 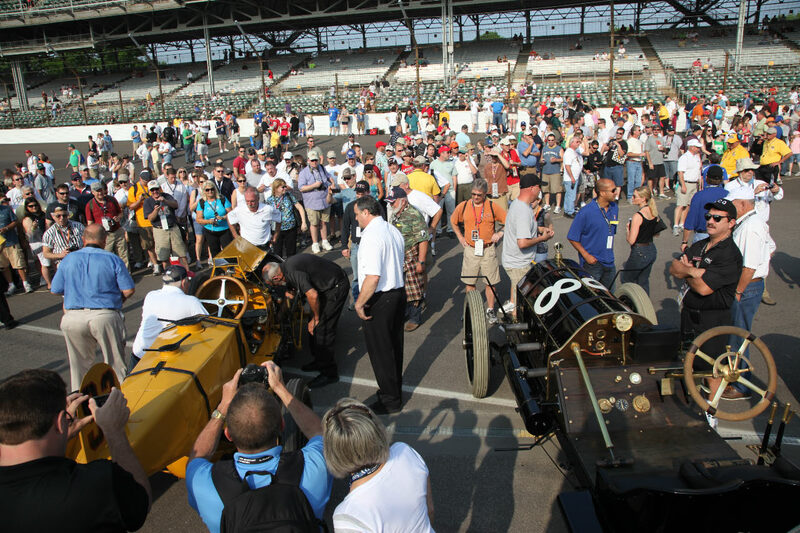 since it looks like the marmon had the mechanical difficulty’s this time. and fans of the marmon will “contest” this “win”. In any case good job and wasn’t there another alco racer in the Vanderbilt cup races in addition to this one… i seem to remember 2 cars. what happened to the other one? does it still exist? “Awesome, simply awesome. I could hear you hollering all around the track. And at times I thought Fittipaldi was gripping the wheel so tight that he was going to tear it off! Congrats on a great experience! Thanks for sharing it!! What a great testimonial to you and your team, Howard. The car ran perfectly, and sounded terrific. Interesting to note that Emerson pretty much followed the line one would take in a modern-day Indy car. It would be nice to have more then one. Also has anyone ever tried to track the history’s of all of the cup cars after they were done with the races. Not just the winning cars but the ones that didn’t win. WHO SAID THAT HISTORY IS NOT INTERESTING? Thanks for sharing this fabulous experience. What a thrill to ride along by watching the video. My impression was had you wanted to, The Beast had plenty more to give. 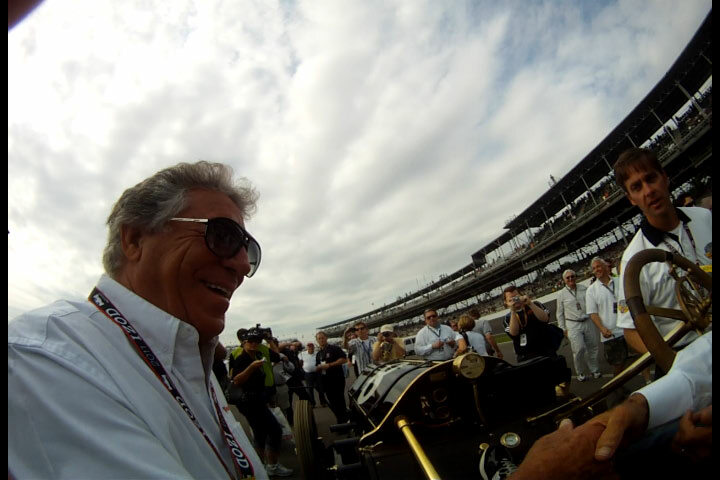 Howard, Thoroughly enjoyed watching your trip around the Indy race track. Thanks for letting us ride along and share the expierence. It had to be the thrill of a lifetime for you. Al. I’d be really surprised if the smile ever leaves your face after this, Howard. Watching it was thrilling - experiencing it must be beyond description. And revenge over the Wasp - sweet! Great video, Howard. The Alco looked awesome on the track. Congratulations! “IT LOOKS LIKE YOU WERE GOING SUPER FAST! AWESOME. You grabbed me with the Indie video. What a kick! Howard—I imagine that you are still grinning from ear to ear even after a week or more. The Vanderbilt Museum congratulates you on the achievement. If I could get the Vanderbilt Cup away from the Smithsonian I would let you hold it just to complete the experience.Great video——the sights and sounds-the engine-the wind—just terrific. “The video was a blast - congratulations. You certainly seemed to have a well deserved great time! Now that you are in the driving circles of such icons as Fittipaldi and Andretti, you need to get yourself a pair of those fancy black Italian racing shoes Fittipaldi had on his feet! “Thanks for sharing the Indy video. The track is big when traversed at “normal” speed. Usually the onboard images are at 200MPH when the spectators are all a blur. We met at Eisenhower Parks Nassau Counties Motor Parkways recent News advent. I was with the Ford Model A Club, and no I wasn’t one of your many passengers. The Black Beast is truly a beautiful piece of machinery. I was wondering if you knew of Lake Ronkonkoma’s upcoming “First Annual Sunday Drive” I know you’re very busy, but the Heritage Society would surely find the Black Beast #8 a special addition to the advent. The person to contact is Ellen and I’ll be glad to give you her number if you email permission. The Black Beast is scheduled to lead the parade! It should be fun.